Has your Dad always dreamed of being Ansel Adams? Does your old man keep delivering subtle hints when he continuously mentions the fact that he lacks a decent camera to document the family properly? Are you tired of constantly hearing, “I want you to clean your room, get the picture! ?” Well now’s your chance to chip in with a sibling or four and score Dad a bodaciously awesome camera for Father’s Day! I’ve rounded up some of the hottest models within the sub-$350 range. For those of you who are concerned, have no fear—I’ve reviewed every model you see here today. For the vacationing dad. 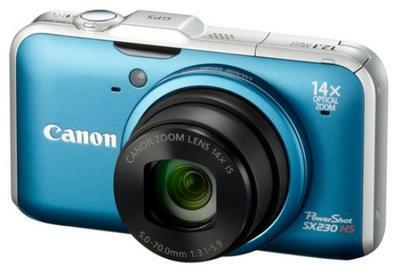 Not only will he love the fact that the Canon PowerShot SX230 HS has a whopping 14x optical zoom lens, but the camera’s 12.1-megapixel backside-illuminated CMOS sensor will allow him to shoot at night with better results. The camera also has 1080p HD video, a slew of Scene modes, and advanced manual controls like a 15-second Shutter and ISO cap of 6400. And best of all? The SX230 HS has GPS for tracking every vacation! 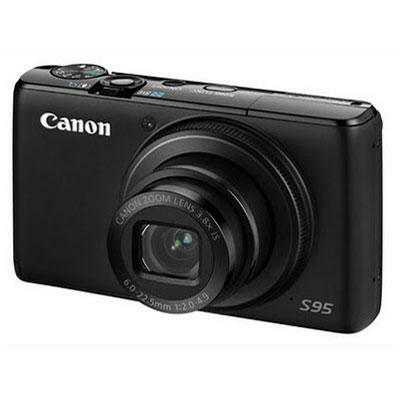 With plenty of useful external controls and a highly compact design, the Canon PowerShot SX230 HS is perfect for the dad who wants portability and performance. For the technical dad. 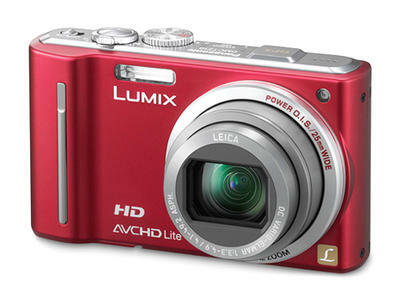 If you can get past the Panasonic Lumix DMC-ZS7’s ridiculous model name, you’ll find that it’s a top-notch camera. Flaunting beautiful 720p AVCHD Lite video with a robust video mode, this camera is just as capable as it is in Still mode. Not only that, but the Lumix DMC-ZS7 offers fantastic image quality for an entry-level sensor and has one of the best manual control suites within its class, including a 60-second Shutter. We’ve also got Panasonic’s unbeatable Power OIS image stabilization system, 12x optical zoom, AF tracking, multi-aspect shooting, and GPS with Navteq Maps. Hot damn, Dad’ll love the Panny, I reckon! For the aperture snob dad. Oh yes, the Rolls Royce of performance point-and-shoots. 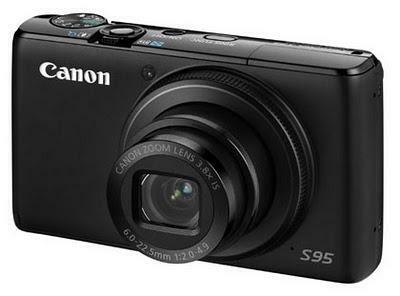 The Canon PowerShot S95 is for the true photographer dad. He’ll appreciate the f/2.0 aperture, RAW shooting, and lens control dial. He’ll also bask in joy with the camera’s extensive manual controls, five different aspect ratios to shoot in, and larger 10-megapixel 1/1.7inch CCD with Canon’s HS system embedded for low light optimization. There’s 720p HD video if he needs it, but your dad is going to be more interested in the S95’s focus bracketing, continuous modes, and Hybrid Image Stabilization. Shazam! For the city slicker dad. 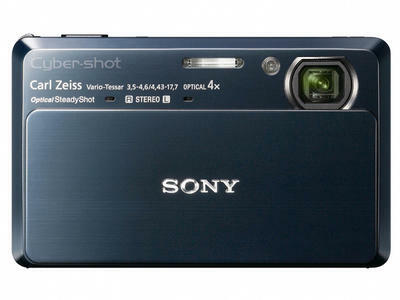 If your old man is not that photographically inclined and only has experience using lame touchscreen cell phone cameras, then the Sony Cyber-shot DSC-TX7 is the perfect transition. This sleek devil is the size of a stack of credit cards and features a 3.5-inch high-resolution touchscreen display. The TX7 skimps on the optical zoom, but makes up for it with 1080i AVCHD video, HDR shooting, and a 10.2-megapixel back-illuminated Exmor R CMOS chip. Image quality rocked with the TX7, and the camera offered plenty of beginner-friendly Scene modes. For the badass dad. Is your dad prone to a temper? Does he like to throw things when he gets mad? 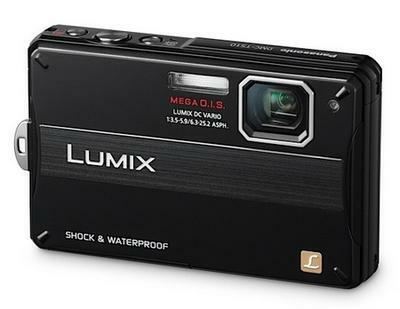 Well then, the Panasonic Lumix DMC-TS10 is the perfect option! This 14.1-megapixel compact is waterproof, shockproof, dustproof and freezeproof, and we have proof! The TS10 outlasted all of its competitors within my rugged cam boot camp, and it even managed to capture some quality images and videos. With 720p HD video recording, Mega OIS, and a decent set of manual controls, Dad can shoot like a pro if he wants to, after he finds the TS10 he chucked into the neighbor’s yard. For the geek dad. Does your father still rock the Casio calculator watch? Does he like to dust off the old Atari now and again? Does he own too many pairs of white striped socks? 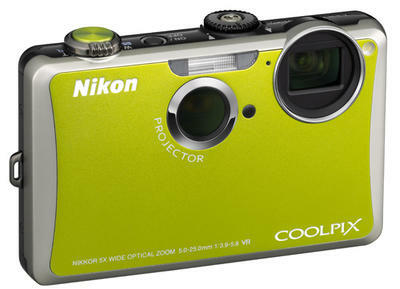 Then the Nikon Coolpix S1100pj might be the avenue to take. This point-and-shoot is not heavy on the manual controls, but it features a 14-lumen built-in projector that casts a 7ft. picture on the wall. Perfect for modern-day slideshows of the family’s trip to see the world’s largest space shuttle at NASA! This is cool, and it will remind your dad of his old manual projector, which he will want to dust off and place beside the S1100pj to do an in-depth comparison with.